Partners for Education - Engineering Internships (July 2016) | Accu-Fab, Inc.
Have you noticed an age and skill gap in the workforce supply for positions in manufacturing and engineering fields? Longevity and reliability are at the forefront of any discussion where business leaders are planning investments and HR strategies to achieve corporate staffing objectives. However, if the right people for the jobs to achieve these long-term goals aren’t anywhere to be found, then surely a crisis is on the horizon. The industrial sector has been a backbone to the U.S. economy for decades, and with groundbreaking developments in automation technology, it’s a more exciting time than ever to get involved! North Carolina’s Triangle Apprenticeship Program (NCTAP) is a NC Department of Commerce registered apprenticeship program that grants students the opportunity to get involved now! Student Apprentices get hands-on experience with industry professionals while earning an Associate Degree in Engineering from our local community colleges. Corporate partners to NCTAP pay fully commensurate wages to student apprentices during the 4-year program. The employers also pay for students’ class and materials expenses during the 3 years they are earning their associate’s degree program. This year, Accu-Fab is excited to welcome Spencer Kurdian & Connor Briggs to the Accu-Fab team for the summer intern program, as they work towards earning an opportunity to beselected for a full 4 ear apprenticeship program. As they work through the NCTAP intern program at Accu-Fab, they will learn about sheet metal fabrication and machining processes, equipment and tools, lean manufacturing practices, inventory management, quality control, domestic and international logistics, housekeeping, and further develop their social skills. 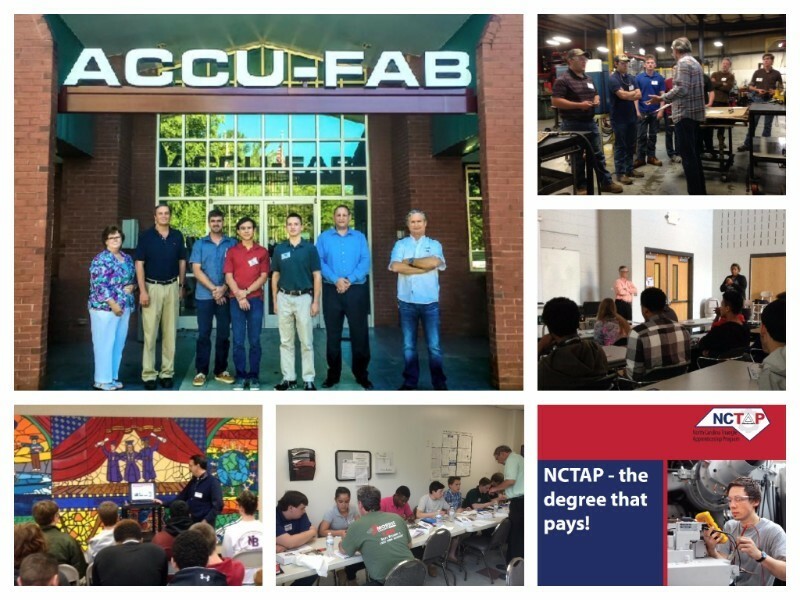 Our new NCTAP apprenticeship program is just another example of Accu-Fab’s efforts to maintain staff excellence and ensure our team excels in providing exceptional service to our customers.